As the new Administrator for the Trust, it has been a delight to read the feedback from artists who have enjoyed residencies this year. Occasionally, as well as your thanks, we receive practical gifts for Brisons. 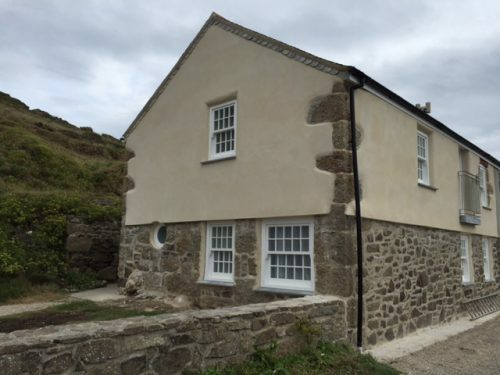 One of our resident-writers enjoyed her residency so much that she has helped us to set up a bursary scheme which will enable other promising writers to benefit from a residency at Brisons Veor. And artist Amanda Oliphant donated the money that she collected as part of her Honesty Box project in July. 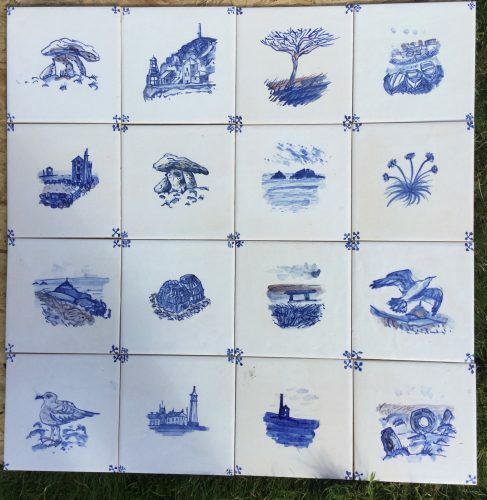 Finally Ceramic artist Penny Green has made 16 fantastic tiles to form a splashback behind the new oven, which we hope to install early next year. As you may know, we have to take periods of time out of our residency programme to allow for repairs and renovation of the cottage. This year essential work has been completed to the exterior, and it looks absolutely wonderful now!